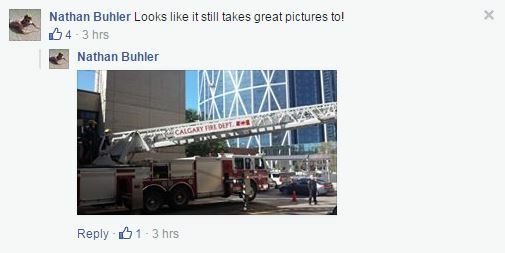 While Ferris Bueller had a day off, Nathan Buhler might be having the time of his life at Calgary’s Fire Hall #1. Or is he? 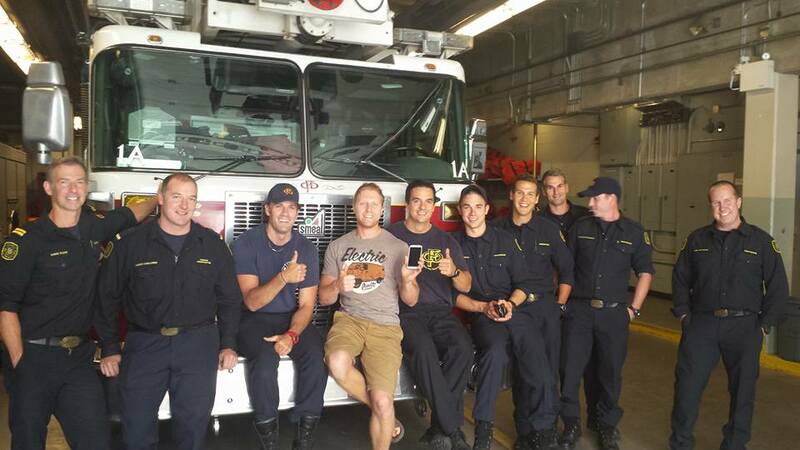 He dropped his phone into the Bow River and a man paddleboarding later came across it under 4 feet of water, charged it up, turned it on to see if it was working, and turned it into the fire hall. Naming the phone Héctor Chavez, the fire department decided to have fun with it and post on Buhler’s Facebook wall to advise him his phone is safe. It turns out his Samsung phone had been gone for 15 days and survived underwater for 10 days in the river. The man who discovered it had noticed the white object while paddling and decided to retrieve it. 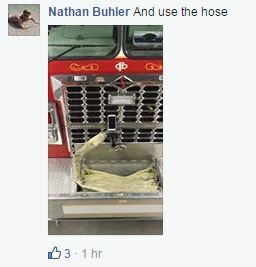 Fast forward to the phone being turned into Calgary Fire Hall 1 after it was charged and found working. 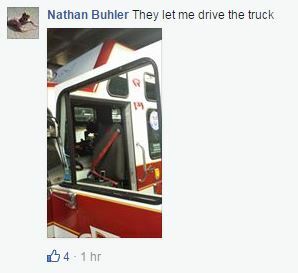 A firefighter decided to post on the owner’s Facebook wall with the unlocked phone to return it to the owner. 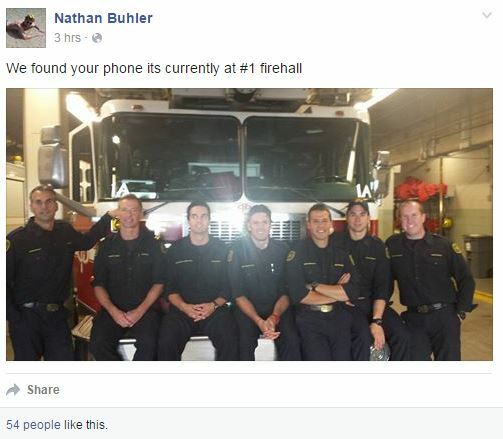 Four hours later, the fire hall had taken the phone for more of a ride as a guest firefighter as it had not yet been reunited with the owner. People replying to the thread hoped the phone stays in the hands of the firemen for longer to follow the firefighters throughout the day. 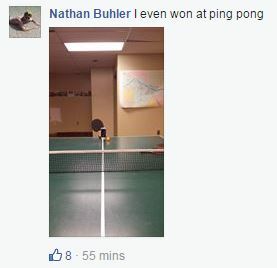 Among the photos, the account shared a photo with the fire crew posing in front of a fire engine, a ladder truck, the kitchen at the fire hall, as well as a ping pong table. 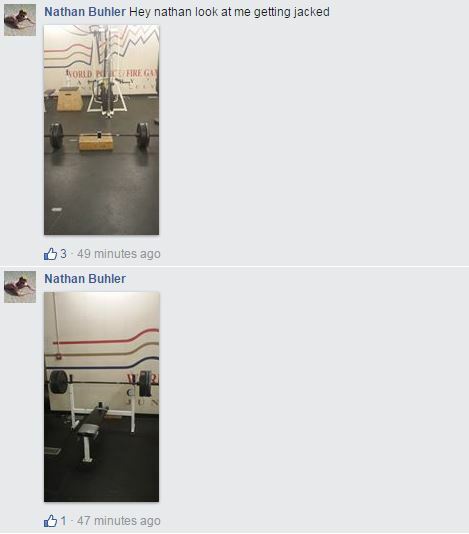 Here’s are some of the posts. 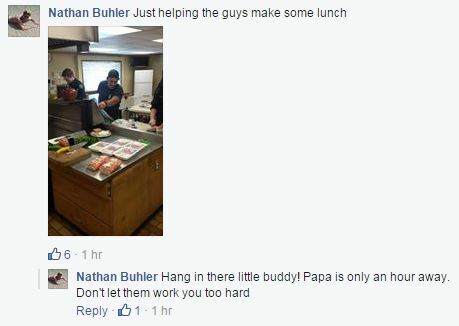 Here’s the picture with all the comments located at this link.